If you want big fish look for tall eroded banks. That's your secret! I don't mean to start a debate, but not necessarily. I fished a section of stream that was about 75% brookies, 25% browns last Friday. It was nice water in the upper 1/3 of the watershed and there were a couple of huge banks like that in a pasture section. I caught a 13" brookie in one hole, and the best one I broke off a big fish on the hookset. I turned it and saw it roll, so I could see it was a big (18-20") brown. Still a little butthurt about that one. There are bigger fish in all types of water, just saying he highest density of big fish, and the best chances of catching them (no little trout to get to your fly/lure before the big boys) is marginal water. We have a long lost friend who used to be a very active poster and perpetual pot stirrer that always referred to a piece of marginal water in Richland Center when talking about big trout. Just one example. I'm not exactly the right person to talk, but I'm decent at spotting patterns, and readily try to do so when people post big fish pics/stories. I think you meant to say long lost "friend". You keep forgetting to link your guide site so some of us can get a hold of those beasts! You have really cracked the code for big fish. 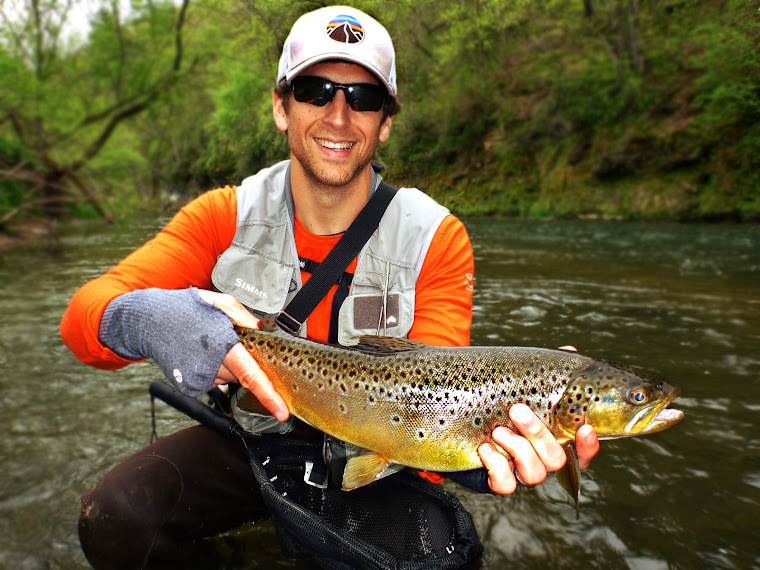 Your photos always remind me that nice trout are available if you just get off the beaten path a bit. Great report, as usual.